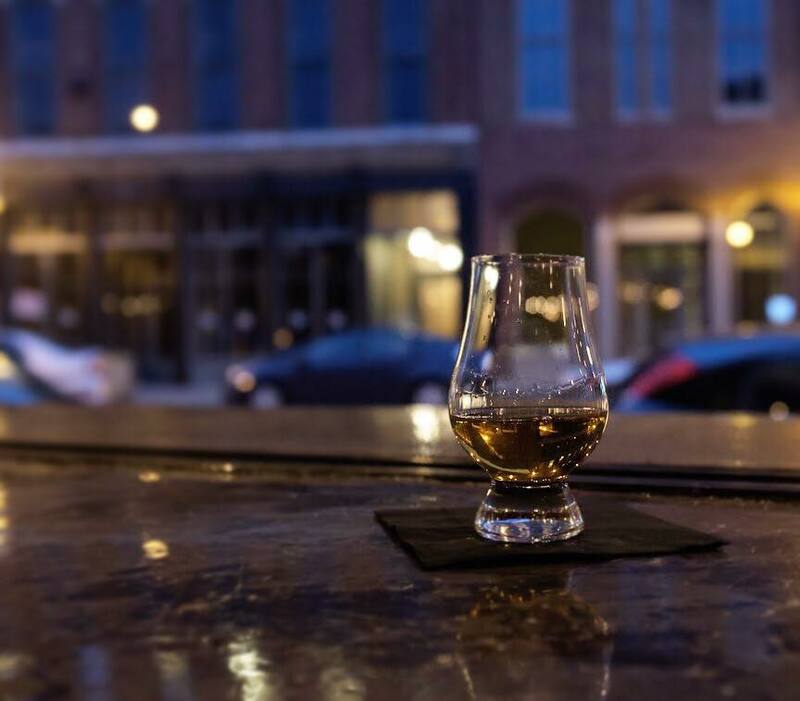 Clock out and unwind at the best Happy Hours around the 417! Okay, okay. We definitely may have placed lounge at the top because it’s our team’s favorite after work spot! There is an array of seating available from couches to bar stools and artistic decor lovingly placed for all to enjoy. The undeniable charm is irrisistible. Tiny but Mighty Kitchen: Their Shrimp & Crab Dip, Spinach Artichoke Dip, and the delicious Hummus Board all served with fresh veggies, tortilla chips, and sourdough bread are out of this world. Seriously, drool worthy. Happy Hour M-S from 4-7pm: 1/2 Off House Wines, $2 Off Martinis, $1 Off Beers, and of course, $2 Off DIPS! 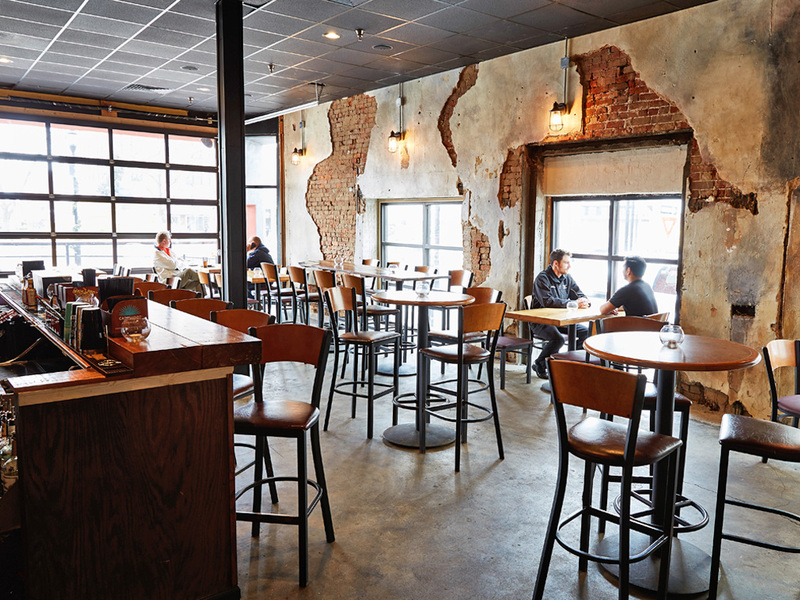 This hip downtown joint has excellent service, a large craft beer selection, and a killer view of downtown’s square sure to make your entire experience enjoyable. With exposed brick archways and unique layout, this place is sure to impress. Crowd Pleasers: Don’t miss out on the Chicken & Waffles dish or the Crab Beignet Appetizer. We. Are. Telling. You. Happ Hour T-F 3-6pm: Enjoy $2 off Drafts, $2 Off House Wines, and 1/2 Off All Appetizers! Woo! This place is sure to impress with their pre-prohibition atmosphere. Enjoy the knowledgeable bartenders and their creative bar menu for a unique experience unlike the rest. Kitchen: Any small plate you order will be begging you for more. Try the porchetta sandwich; featuring pork shoulder with arugula, provolone, and whole grain mustard. We know, it’s pure torture just thinking about it. Sunday is the perfect time to visit! From 1-7pm this bar offers a notorious Blood Mary Bar, fantastic brunch options, $3 Mother’s Pints, $1 off Drafts, $5 Wells, $3 Select Whiskeys, and 20% off $10+ Whiskeys. Check out your future Sunday Funday here. 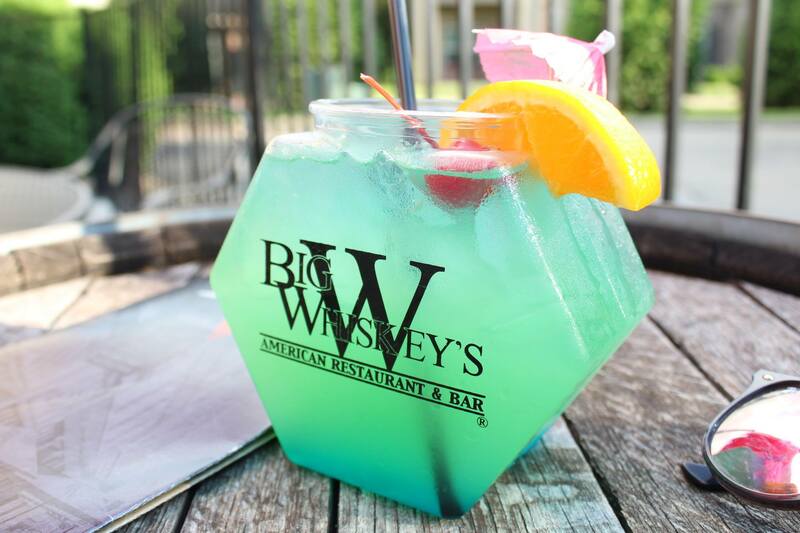 If you love patios, be sure to get to any of the 8 Big Whiskey’s locations and enjoy their city-renowned Happy Hour! There’s food, too! You cannot leave until you devour their famous Buffalo Dip. Or, try all three in their Dip Trio. Do yourself a favor and grab a side of fries, too. What can you say about a tropical place so eclectic, trendy, and soul-reviving? In our opinion, this is the most unique place in the 417! The bartenders are over-the-moon nice and their cocktail menu is beyond captivating. 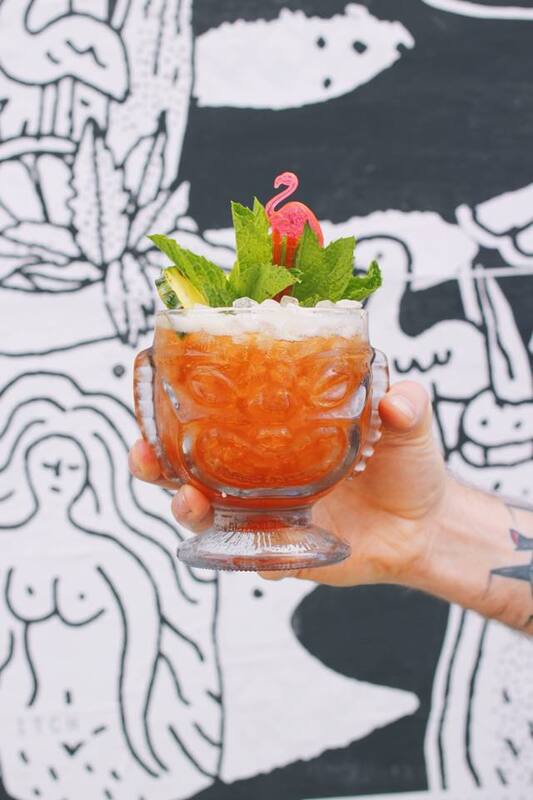 Choose a spot inside or on the charming starry-lit patio and show off your ballin’ tiki mug to all passerbys on the square! Hold up: Ramen. Tacos. Tiki Masala. *tears of happiness* Honestly, the entire menu is a grand slam which is why we still have a hard time ordering when we go. You can’t beat football on an 80″ HDTV and a cold pitcher of beer. Stop in and relax inside or on the covered patio with a few friends and wash your happy hour woes down with a mile-high pile of scrumtious chicken nachos. Happy Hour M-F from 4-7pm and 10pm-Close: $6 Budweiser Pitchers, $2 Wells, $1 Off Drafts, and $1 Off Appetizers. Their patio is PERFECT for sunset watching! Relax and unwind after a long day’s work with this extensive happy hour menu and enjoy the multiple bonfires and calming atmosphere. Bowl of Goodness: Please do yourself a favor and get the Queso Laredo, you’ll likely want to lick the bowl. Also, don’t miss out on their Sunday Brunch with $2 Mimosas and $2 Bloody Marys! Hands down one of the most charming spots in the 417! 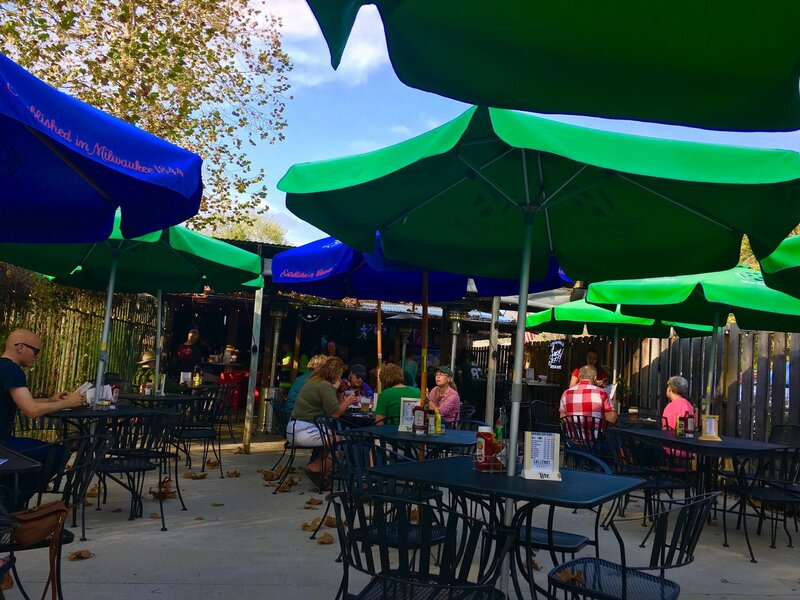 Their Beer Garden sits along the Galloway Trail so at anytime you’re more than welcome to bike over and cool off with a cold beer and chow down on one of the best burgers you’ll have in town! Best Bites: We said above the burger, however, the real contender is their hand-breaded pork tenderloin sandwich called “The Tender”. This thing is quite literally bigger than your head. Pair this sammy with SGF famous beer battered fries and you’re sittin’ pretty. Miller Lite jumbo drafts are $3.75, other great beer specials, and a delightful patio. Be weary, this place is usually packed for lunch and dinner..so be strategic! Enjoy. 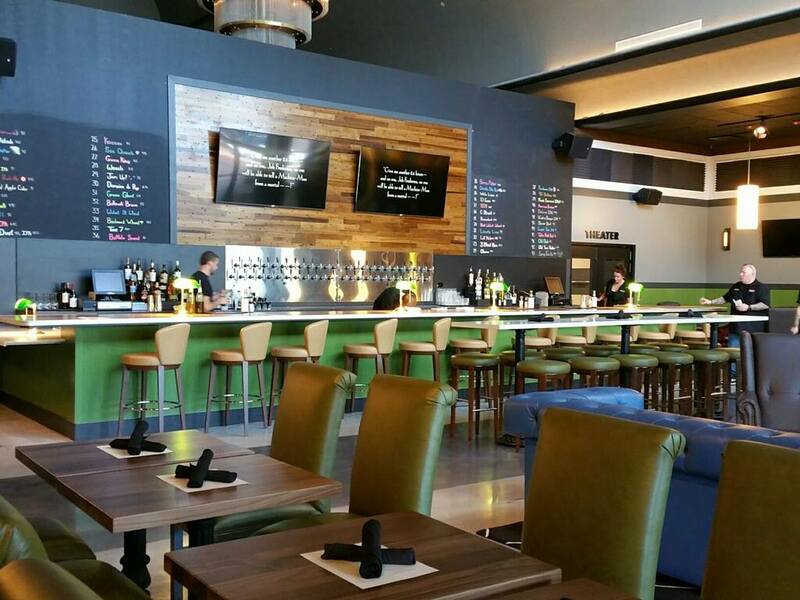 Enjoy an after work beverage at this gorgeous bar with lounge seating and upscale taste. Usually filled with a variety of business professionals, this is your go-to for a fine cocktail at a great price and phenomenol service. Tip: Try to get there early for a patio seat! Don’t miss: Their extensive happy hour menu features Chesapeake Oysters for $1, and boy, you will not be disappointed. Happy Hour Everyday 3-7pm: $2 off bottled beer & wine, 1/2 price well, 1/2 price select call and premium brand spirits, and $1 Chesapeake Oysters. Oooh, yes. Sushi + Happy Hour. There’s really no better combination. These local owners love their guests and it shows through every staff member. 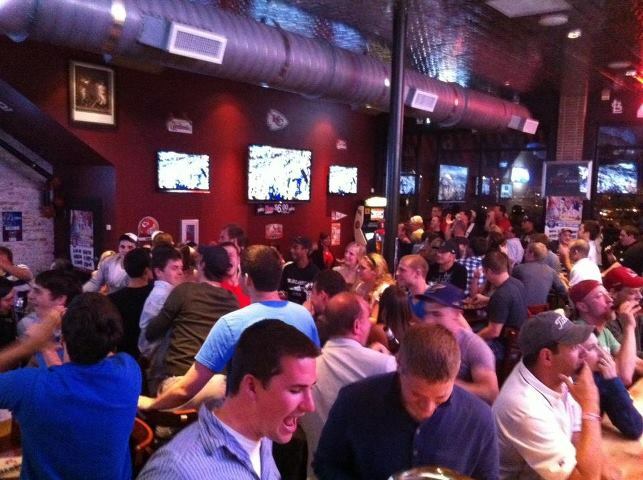 It’s a great atmosphere and we promise you’ll know at LEAST one person when you walk through the door. Our favorite: Grilled Sea Scallops appetizer served with asparagus and portabella with a zesty garlic and mirin cream. *gasp* The classic OMG Roll is a Springfield favorite. I mean, who says you can’t bring Vegas to Springfield? Serving food on fire? Yep, Oh My Gawd. Happy Hour M-Th. 5–6:30 pm: $5 Wines, $6 Select Martinis, $3 Saki, and $3 Drafts. $3-$5 Select Sushi Rolls and Discounted Select Appetizers. Okay, here’s the thing. If you’re ‘not really a movie person’, you will still love this place. (Also, not really sure what ‘not really a movie person’ means because that’s just ridiculous). Movies are great and so is booze! Backlot has quickly become a local favorite with their massive 48 draft selection, scrumptious menu, and awesome live music. Not to forget, Alamo Drafthouse was voted ‘#1 Theater in America’ by Entertainment Weekly, and now Springfield understands why. Our Favorite: Their buffalo cauliflower bites are LIFE CHANGING. Also the queso. You should always say yes to queso. Happy Hour M-F 4-7pm: $1 off all drafts. Don’t miss their Tuesday Trivia with weekly movie-themed trivia and Happy Hour ALL NIGHT! 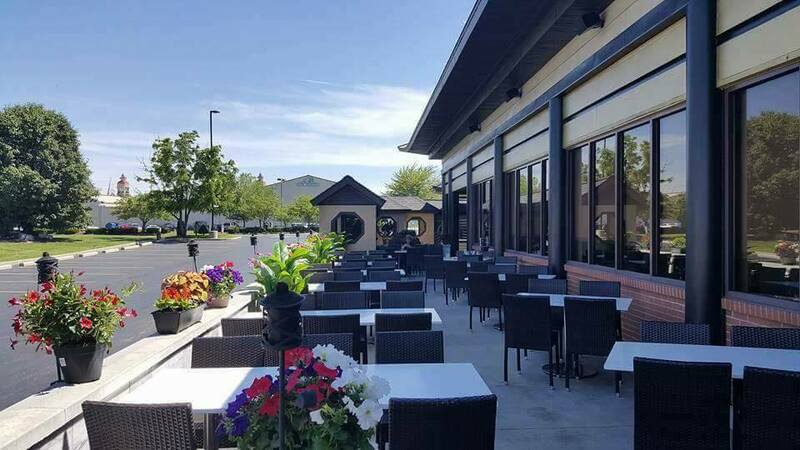 Hands down one of the most sought-after patios in Springfield. Their wide selection of drafts and wines make that gorgeous patio sunset so much more relaxing. Enjoy a fun girl’s night or romantic evening with quick service and a stunning view. 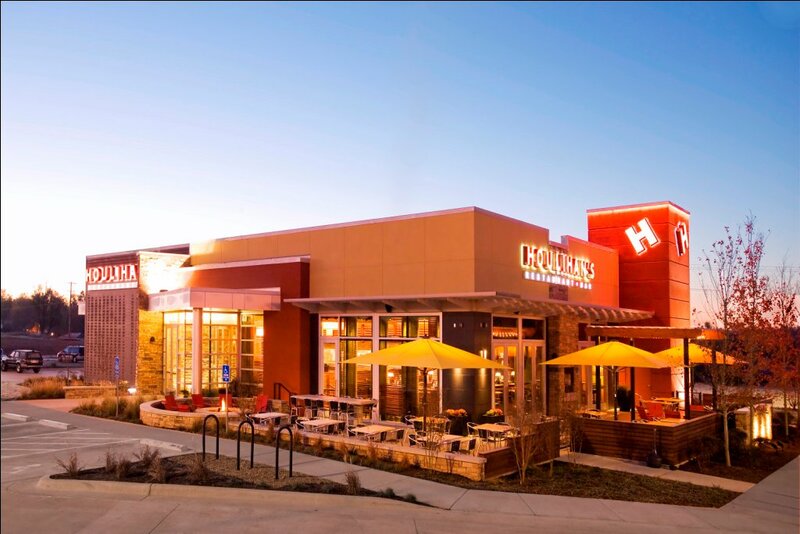 Staff: Chain restaurants can feel cold at times, but we must admit the staff at this location have our hearts. They make you feel at home by remembering your name, ask how your day has been and always know your order. Check it out for yourself! Happy Hour M-F 4-6pm & 9-close & All Day Sunday: $5 Margaritas, 1/2 Off Select Drafts & Well Cocktails, and $4-$6 Select Appetizers. This quiet, relaxing bar has you covered for all your work week woes. 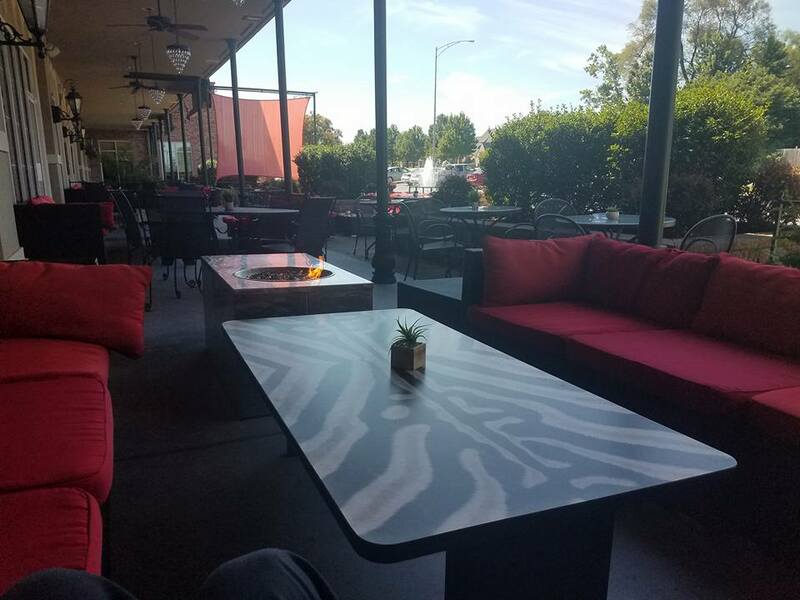 Sip on a nice glass of chilled wine and enjoy some happy hour apps to help calm your day on their beautiful outdoor patio. Happy Hour Every day 3-6pm (Sun-Th 8pm-close, Fri-Sat 9pm-close): Special cocktails and wine selection $6, Select beers from $3, Appetizers starting at $3.50, Sushi starting at $3! With now 2 locations, tacos(and tequila) in Springfield are a force to be reckoned with. With margarita specials every single day, the end of your work day just got a lot more enjoyable. Our Favorite: Since our office is walking distance to the Battlefield location, we’ve been known to put down a few Chicken Stuffed Avocado Salads in our days. If we aren’t feeling healthy, we aim to tackle their incredibly delicious Hatch Green Chili Pork tacos. Happy Hour M-F 2-6pm: $2.50 Domestics, $3.50 Imports, $1 Individual Quesos, and Margarita Specials EVERYDAY! 130 years of history for all to enjoy. This special tavern is the oldest in town and has a friendly staff to make you feel right at home. This establishment is notorious for their wide craft beer selection, live music, and unique food menu created by using all local products and flare. A true gem of Springfield. Swoon: Don’t you dare step foot out of this amazing building without asking about the Chef Special. Warning: It’s typically mind-blowingly delicious. Also, brunch is kind of a big deal. Make sure you try theirs AT LEAST twice! (Because once will make you wish you ordered two items the first go-around). Recommended: Ham & Jam Biscuit or Crab Benedict. No need for a happy hour here! 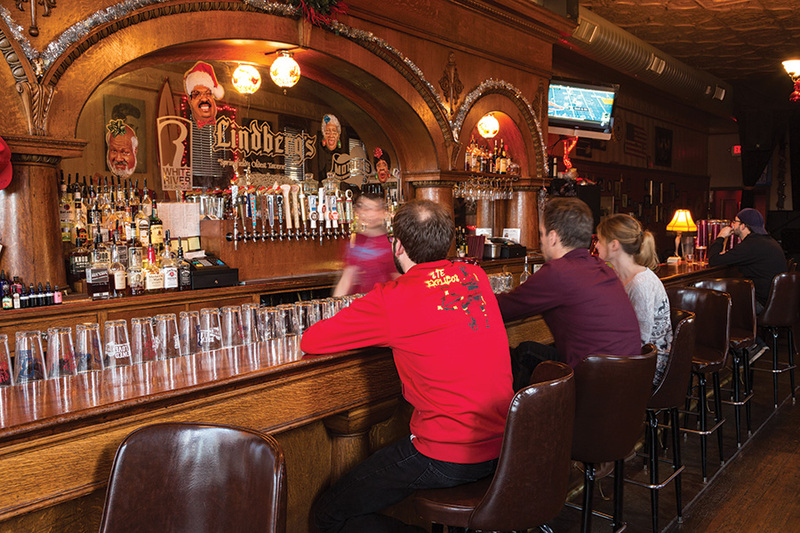 This classic tavern has everything you’d want to enjoy your after work beverage. Because you deserve it. Looking for a new place to get away from it all? All you need is cold beer, some sweet tunes, and good conversations with the bartender. Plus their prices are unbeatable! You’ll still be able to buy that new pergola you’ve always wanted. We can’t rave enough about how relaxed this place is. Check it out: Your new go-to for friendly conversations with the down to earth owners in an excellent atmosphere that reflects the Commercial Street culture. 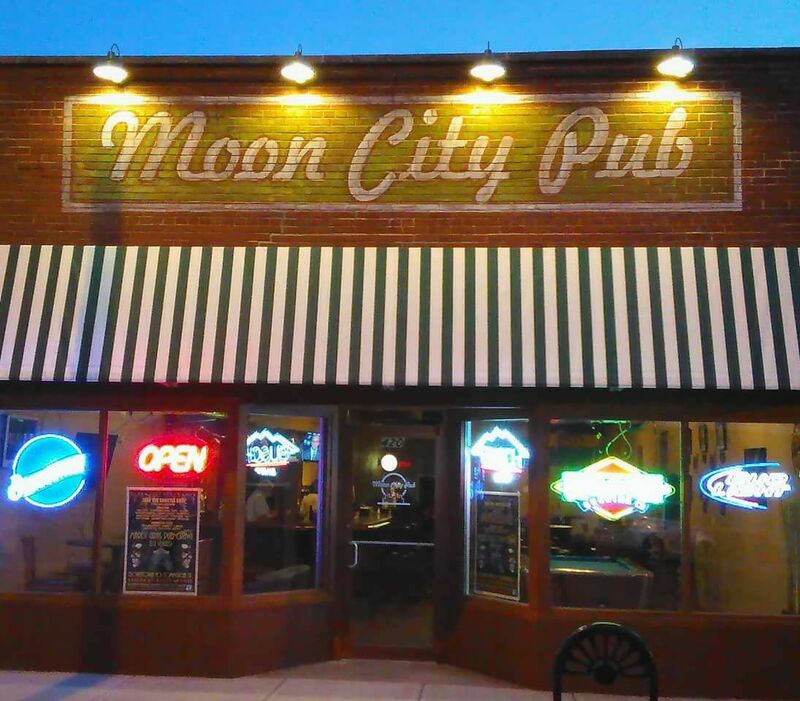 Rally the troops for some darts or other games and unwind to some live music. Won’t disappoint. Want class and a relaxing atmosphere? 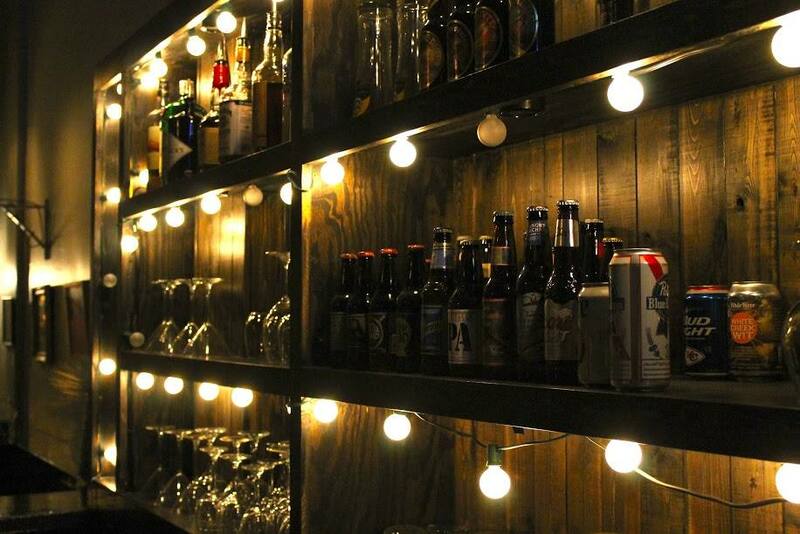 This charming bar on quiet Commercial has everything you need to unwind after a hard day’s work. Only open certain days and hours, be sure to arrive early for a cozy seat and listen to live music. Days and Hours: Open Wednesday & Thursday 5:30-10pm, Friday & Saturday 5:30 – 11:00pm. All information has been researched to best our efforts. However, we encourage you to call ahead to confirm dates, times, location, and other information.